Are you having a speaker that looks out of place on your decorated furniture or on your customized walls? Have you ever thought of how that could be magically transformed so that it would complement your favourite furniture? Imagine having to get your own customizable speakers with colours and designs of your taste. This option is provided by Nepsu, a Canada-based startup company. 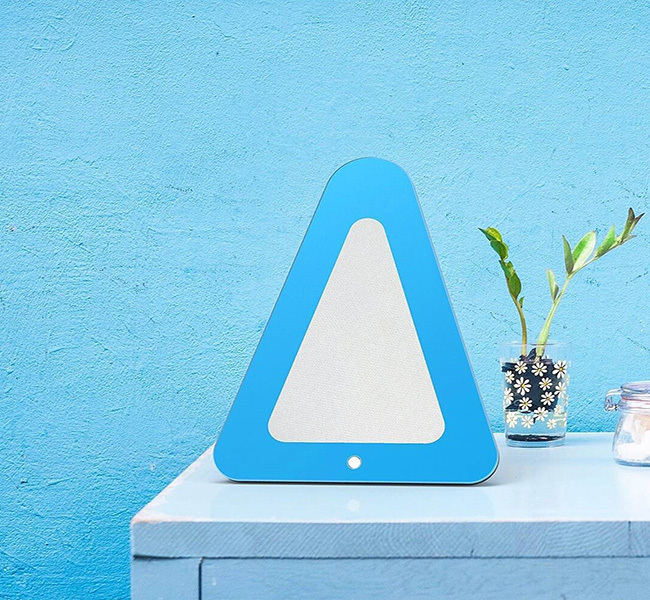 Nepsu brings to the table a fully customizable speaker in the shape of a triangle, aptly named as ‘The Nepsu Triangle’. These triangular speakers can be made according to the user’s liking and can easily blend into any decor. They have interchangeable parts made of high-quality sustainable materials that are available in a variety of colours. This would further aid the users to completely express their individuality and creativity in bringing out the perfect looking speakers. To change its appearance easily, each colorful aluminium plate and acoustic tissue are magnetized. Also, the power cable is available in different colors for an easier integration. It is also versatile because it can be placed on a table, hung on a wall or even be inserted in a room’s often empty and unused corner. While successful, they face major competition from companies like Bose and Sonos that provide smart speakers and superior sound clarity. What sets Nepsu apart from these companies is that along with the features provided by these companies, it also provides complete customization of their product designs for the users. The Triangle features the latest Wi-Fi, Bluetooth, DLNA and aptX technology, and also has a standard 3.5mm audio jack for Aux input. The audio quality has been optimized with the help of audio experts and is made of the best components that would provide long-term clear and pleasant listening experience without causing ear fatigue. In the Indiegogo campaign, the company plans on displaying their accessories and provide complementary products to provide a better experience for Triangle’s users and plan on releasing a second speaker once The Triangle becomes popular. They also plan on developing and releasing other products such as smart light bulbs and home sensors that would monitor the environment. The company looks to attract customers who are more into house decor along with the ones who are music buffs.